FCB Clan » Forums » Problemas & Ayuda | Problems & Help » TonceBratt insulting and spawn killing. why ban me bassux ?? unban me what i did wrong tell me ? 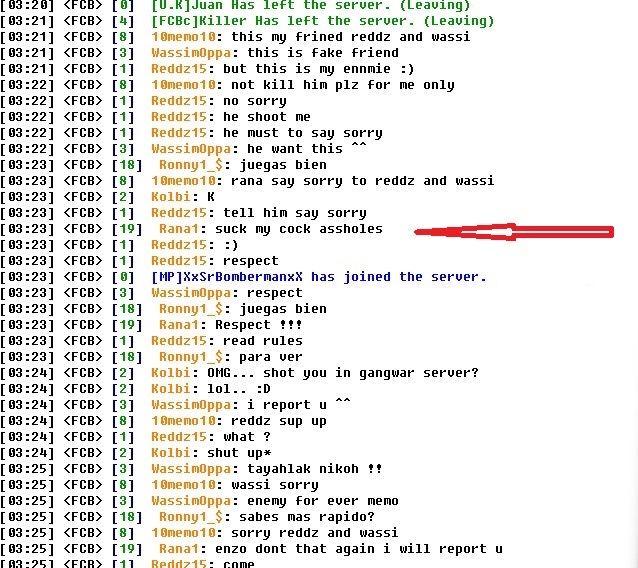 Where you have seen that Bassux banned you? You were banned one time for insults, now again 15 days, next time will be permanent ban.